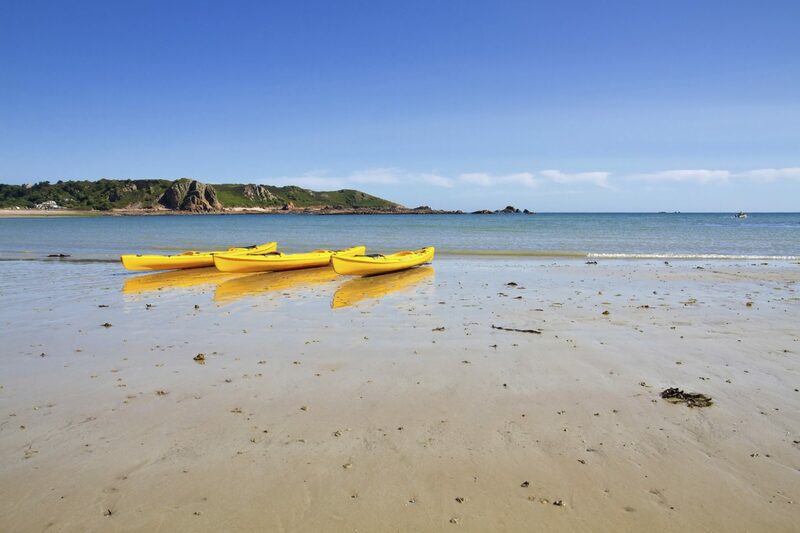 St Brelade’s Bay Beach in Jersey is considered perfect all year round by visitors. It’s a bucket & spade beach for children, and it offers a clean blue sea with safe swimming. So if you are looking for a place to relax and enjoy the sun, this is an ideal beach with plenty of eating places near the beach. You get to Jersey by air or by sea. The latter lets you take your car as well. There are frequent flights from airports all around the UK to Jersey, particularly in the summer. For instance, from all the London airports, there are about 12 flights a day during this season. The journey time is less than an hour. Flybe, is one of the popular airlines to get to Jersey. There are plenty of ferry services from Portsmouth and Poole to Jersey. Jersey is a small island that's part of the British Isles. Accommodation therefore is limited, something to keep in mind. Self catering sleeps 5 in 2 bedrooms from £390-670 a week. Self catering £60-80 per night for a family of four. Hotel, price varies £600-1300 for a week. Hotel £150-£440 per night for a family suite to sleep 4. Train Tour for a sightseeing tour of Jersey in "Le Petit Train"
The temperate and sunny climate that Jersey has all year through makes it a rather special place in the UK. So enjoy the sun and sand, but also do enjoy the gardens because they thrive in this weather. Need a packing list for your beach holiday? Find it here.